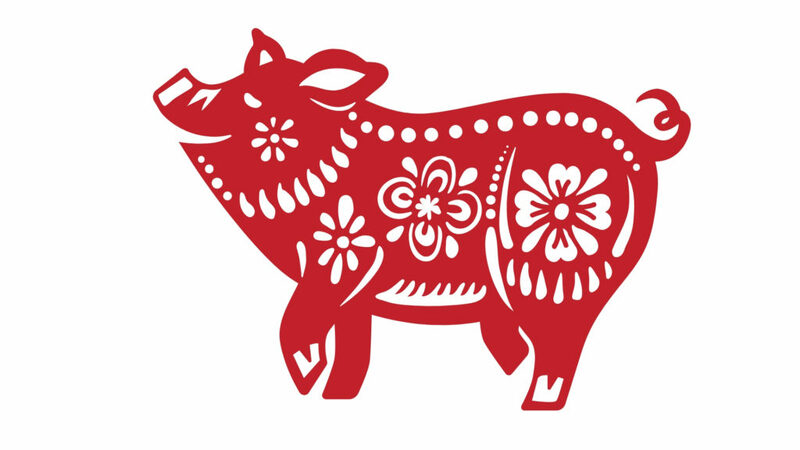 The Year of the Pig starts on 5th February 2019. It brings a lighter energy than the 2018 Dog Year. The double Earth in 2018 was heavy, making it difficult to move forward and progress. It was almost like treading in treacle. The Pig is the Water element. Water flows, and whatever obstacles are in its path, it will always find a way to get where it wants to be. So we can look forward to finding ways through our challenges, seeing a new direction to take, and keeping positive that things will work out. But Water needs to flow, so we must get ourselves moving. Clear out the heavy, sticky energy from the 2018 Dog year, as soon as you can, and certainly get lots of clearing done before the end of February. Declutter! Energy sticks around clutter. Imagine it like gluey cobwebs that cling to you every time you pass by. It can make you feel heavy, trapped, and stuck in a rut. So free up your energy, ready to flow with the Water of the Pig year, towards new avenues, new opportunities and that sense of achievement in your ventures. As you declutter, imagine you are clearing out all obstacles, negative emotions, illness, and anything else that has been stopping you from getting ahead. Be honest with yourself as you look at every item you own, every piece of clothing, kitchen equipment, ornament, book and more. Ask yourself, Do I like it? Do I need it? Do I want it? If you answer No to all three, have the courage to let it go. Have a clear vision of what you want to achieve or the life you want to live. A vision board can help you clarify your mind, create your vision, and maintain your focus. This can be a simple cork board, onto which you pin magazine cuttings, photographs, symbols and anything that you aspire to, or that will remind you of your goals or the life you want. Be bold, aim for the moon. Miracles do happen. But don’t forget to keep looking at your vision board. Place it where you can see it, look at it frequently, and keep adding to it. Keep the energy around it moving. The 2018 Dog Year digestive issues are still with us, as the Earth element is still here in 2019, but it’s not double Earth as in 2018 (Yang Earth over Earth Dog). It’s Yin Earth over Water Pig. So, keep your digestive health in tip-top condition. Look after body areas that are associated with the Water element, such as kidneys, bladder and urinary tract. In TCM the eyes and bones also belong to the Water element. Keep your immune system strong with a healthy diet and lifestyle. The Pig is everybody’s friend, so it’s a year to enjoy. Go for it! I can help you with your clutter clearing, with an easy structure, lots of advice and tips, and loads of support. Browse my easy, user-friendly home-study course in Clutter Clearing. Click here.